209. Since 1967, about 750,000 Palestinians have been detained at some point by the Government of Israel, according to Palestinian human rights organizations. As I demonstrated here, these numbers are completely made up by a Palestinian Arab group called Addameer. The figures are absurd and are based on no real figures. Moreover, Addameer has increased these numbers by 100,000 since 2004 or so, and we have accurate statistics on Israeli arrests in the past couple of years - they are off by orders of magnitude. In other words, Addameer lies with impunity, testifies before the Goldstone commission, and Goldstone believes them. north-west of Beit Lahia opened fire on a group of Palestinians trying to collect fire wood near the border. Also on 23 June, two mortar shells were reportedly fired from central Gaza. One landed near the Nahal Oz crossing and the other in the Negev desert; no injuries were reported. YNet reports a mortar shot "early Monday morning" while Ma'an reports that the Palestinian Arab man was injured on Monday afternoon. So which was the first incident? Apparently, the Goldstone Commission can't figure that out. Interestingly, when Islamic Jihad shot three rockets to Israel on June 24th, they didn't claim it was in reaction to any Israeli actions in Gaza, rather for something the IDF did in Nablus. So it is entirely possible that the report of the 67-year old man is less than accurate. The report goes into great detail on everything that happened between the beginning of the truce and Israel's response, but it skips an important fact: that the Hamas al-Qassam Brigades declared "Operation Oil Stain" on December 24th concurrent with their huge increase of rocket attacks. 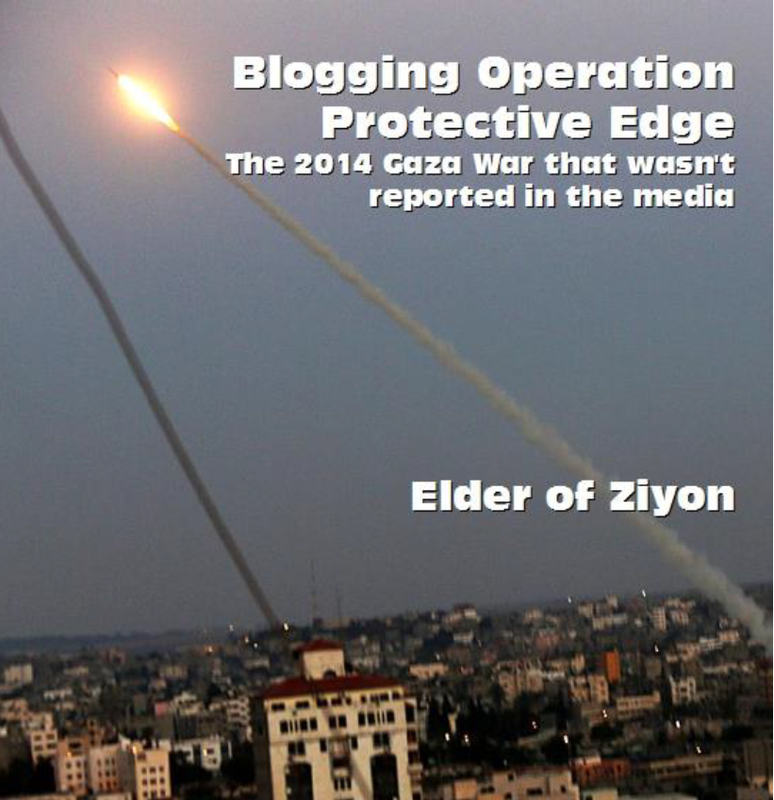 The Brigades continued to boast about this operation until well after Israel's response. In a very real sense, they declared the war. Although my version is satirical, the video is real, and was taken during this exact time period of December 2008. It isn't a place one might choose to live but it is a far cry from many places - including much poorer areas of Egypt right across the border. restore, and ensure, as far as possible, public order and safety” in the occupied area (art. 43). the Gaza Strip during the period under investigation. towards the population of the Gaza Strip. exercises from the borders enable it to determine the conditions of life within the Gaza Strip. Goldstone spends a bit of time trying to justify Gaza's status as being legally occupied. The report doesn't address the many arguments that show otherwise, and uses an expansive definition of "occupation" that goes beyond any other. The Denmark precedent is a perfect example: during World War II, the Danish government cooperated with Germany and allowed Nazi troops in its territory, and while most citizens weren't thrilled with it, they accepted it, which made this occupation much easier. When the situation became untenable and the Danes more restless, Germany dissolved the Danish government - a move that proves that Germany did have effective authority of Denmark, far beyond what Israel has with Gaza. there is no legal basis for maintaining that Gaza is occupied territory. The Fourth Geneva Convention refers to territory as occupied where the territory is of another "High Contracting Party" (i.e., a state party to the convention) and the occupier "exercises the functions of government" in the occupied territory. The Gaza Strip is not territory of another state party to the convention and Israel does not exercise the functions of government-or, indeed, any significant functions-in the territory. It is clear to all that the elected Hamas government is the de facto sovereign of the Gaza Strip and does not take direction from Israel, or from any other state. Some have argued that states can be considered occupiers even of areas where they do not declare themselves in control so long as the putative occupiers have effective control. For instance, in 2005, the International Court of Justice opined that Uganda could be considered the occupier of Congolese territory over which it had "substituted [its] own authority for that of the Congolese Government" even in the absence of a formal military administration. Some have argued that this shows that occupation may occur even in the absence of a full-scale military presence and claimed that this renders Israel an occupier under the Fourth Geneva Convention. However, these claims are clearly without merit. First, Israel does not otherwise fulfill the conditions of being an occupier; in particular, Israel does not exercise the functions of government in Gaza, and it has not substituted its authority for the de facto Hamas government. Second, Israel cannot project effective control in Gaza. Indeed, Israelis and Palestinians well know that projecting such control would require an extensive military operation amounting to the armed conquest of Gaza. Military superiority over a neighbor, and the ability to conquer a neighbor in an extensive military operation, does not itself constitute occupation. If it did, the United States would have to be considered the occupier of Mexico, Egypt the occupier of Libya and Gaza, and China the occupier of North Korea. Moreover, it is difficult to avoid the conclusion that foes of Israel claiming that Israel has legal duties as the "occupier" of Gaza are insincere in their legal analysis. If Israel were indeed properly considered an occupier, under Article 43 of the regulations attached to the Fourth Hague Convention of 1907, it would be required to take "all the measures in [its] power to restore, and ensure, as far as possible, public order and safety." Thus, those who contend that Israel is in legal occupation of Gaza must also support and even demand Israeli military operations in order to disarm Palestinian terror groups and militias. Additionally, claims of occupation necessarily rely upon a belief that the occupying power is not the true sovereign of the occupied territory. For that reason, those who claim that Israel occupies Gaza must believe that the border between Israel and Gaza is an international border between separate sovereignties. Yet, many of those claiming that Gaza is occupied, like John Dugard, also simultaneously and inconsistently claim that Israel is legally obliged to open the borders between Israel and Gaza. No state is required to leave its international borders open. The Goldstone Commission is making a flawed legal argument, and in fact extending the definition of "occupied" way beyond the Hague and Geneva definitions, in ways that are a mockery of law. It appears that Goldstone, along with the previous ICJ ruling it also relies on, has a "gut feeling" that Gaza is occupied and will find whatever flimsy legal justifications they can find to support it after the fact. violation of the obligation not to endanger the civilian population in this respect. This video, showing Palestinian Arab militants disguised as civilians shooting a 120mm mortar from a street in Jabalya, shows otherwise. it is astonishing to think that the Commission couldn't find it. There is no visibility of the men of the resistance in the streets of the [Gaza] strip. No one sees their means of transportation, and even light weapons can no longer be seen with people publicly in the Gaza Strip. The resistance completely disappeared. Anti-aircraft artillery fires on the aircraft without them knowing the location. The whereabouts of rockets launched from the heart of the strip cannot be seen or known. According to medical sources, the number of martyrs and wounded of the elements of the Palestinian resistance are few in comparison to the number of civilian martyrs who were killed since the start of the Israeli war on Gaza, except for the large number of Palestinian policemen who were martyred on the first day of the war in Gaza. And here's a link to a video from German TV that clearly shows Palestinian Arabs hiding weapons under civilian clothing in a crowded Gaza street. How could the Goldstone Commission not have known about these? the inherent dangers created by military operations. bear responsibility for the damage done to the civilians living in Gaza. The basic assumption that somehow the Gaza "authorities" are not exactly the same as the "armed groups" is bizarre. It is almost like the UN needs to hold onto the fiction that Hamas is somehow a respected civilian authority in order to jam their ideas of human rights into a neat category and ignore the reality. I already dealt with some of the claim that they found no evidence of Hamas and PIJ masquerading as civilians, and there is more where that came from. But it is curious that Goldstone says that disguising themselves as civilians is not a violation of international law. 1. It is prohibited to kill, injure or capture an adversary by resort to perfidy. Acts inviting the confidence of an adversary to lead him to believe that he is entitled to, or is obliged to accord, protection under the rules of international law applicable in armed conflict, with intent to betray that confidence, shall constitute perfidy. The following acts are examples of perfidy: (a) the feigning of an intent to negotiate under a flag of truce or of a surrender; (b) the feigning of an incapacitation by wounds or sickness; (c) the feigning of civilian, non-combatant status; and (d) the feigning of protected status by the use of signs, emblems or uniforms of the United Nations or of neutral or other States not Parties to the conflict. Unless I'm misreading it, it sounds like the very act of a combatant pretending to be a civilian is prohibited under international law. This is not an inaccuracy per se, but it is more than troubling. One of the major sources that the Goldstone Commission heavily relied on in testimonies was TAWTHEQ. TAWTHEQ is quoted in the context of the Gaza war more often than HRW and seems to be mentioned in the report body about as often as PCHR (although PCHR is mentioned more in footnotes.) In other words, it seems that Goldstone put a lot of emphasis on TAWTHEQ's direct testimony to the Commission. Who is TAWTHEQ? It is not an NGO - it is Hamas! TAWTHEQ " The Central Commission for documentation and pursuit of Israeli war criminals" is an independent governmental organization dedicated to monitoring and documenting the Israeli aggression crimes that targeted individuals, buildings, private and public property by the Israeli occupation forces, and particularly crimes that occurred during the last aggression on the Gaza Strip on 27 / 12/2008 until 19/1/2009 and pursuit war criminals and follow-up submitting lawsuits against them via the national and the international courts without any political affiliation to any party. TWATHEQ [sic] is considered the only official commission to deal with the files of documenting aggressions and criminal acts of the Israeli aggression on Gaza, and follow-up submitting lawsuits against the Israeli officials. It was established by the Gaza Ministry of Justice, which is Hamas. While there are serious problems with relying on biased NGOs like PCHR (who refuses to call the Israeli army the IDF, instead using the term IOF consistently,) TAWTHEQ is single-mindedly created by Hamas not to be objective at all. Its mandate isn't to determine the existence of war crimes - it is to maximize the number of such "crimes." So, for example, Goldstone quotes TAWTHEQ as saying that "341 of those killed were children. " It also quotes the PCHR and B'Tselem (314 and 320, respectively.) It is probable that TAWTHEQ (as well as DCI) is including children who were combatants in their list of victims. The entire purpose of TAWTHEQ is to accuse Israel of war crimes and provide "evidence" to credulous NGOs. The fact that Goldstone gave it as much weight as it did seems to be a reflection of Goldstone's general bias towards those who testified in person, something that appears to be consistent throughout the report. As in the case of Addameer, Goldstone seems far less likely to question Gazan facts and figures than Israel's, even when the Arab organizations themselves have an explicitly anti-Israel mandate. The Goldstone report spends a lot of space (paragraphs 414-421) trying to justify its contention that the Hamas police force was a civilian force, and that Israel was not justified in attacking it. I believe that this analysis is flawed and that the conflicting evidence is weighted with a clear bias towards declaring the policemen to be civilian. This paragraph seems to set the tone that, at least originally, Hamas did not distinguish between civil and military functions for its Executive Force. At this point, when Hamas took over Gaza, it was obvious to all that Hamas would need to take over the police duties. Fatah clearly was not going to be tolerated in that role. The question is, did Hamas intend that the police would be a purely civil police force, or simply that they had to fulfill that role in order to maintain law and order but they would still be considered resistance fighters (and moonlight as such)? At this point, as of 2007, the answer seems to be the latter, according to Goldstone's evidence. 412. In October 2007, the security services operating in Gaza were reorganized. The previous Palestinian Authority’s police agencies in Gaza were merged with the Executive Force.275 The security forces under the control of the Ministry of Interior emerging from this reorganization comprise the Civil Police, the Civil Defence, the Internal Security (an intelligence agency) and the National Security. Their mandates, according to the Gaza authorities’ Ministry of Interior’s website,276 are differentiated. 413. The National Security force is given specific military tasks, such as “the protection of the State from any foreign aggression” and “responsibility for the defence of the Palestinian homeland in the face of external and internal threats”. It is thus plainly a military force whose members are, under international humanitarian law, combatants.277 The functions of the police have been outlined above. The website shows that there are six security services under the Interior Ministry: Police, Civil Defense, Security and Protection, Homeland Security, National Security Forces and Military Medical Services. Keep in mind that they all report to the same ministry, meaning that they are much closer related than traditional military and police duties are in most nations. I maintain that there is essentially no distinction between these groups. To give an example, the "Security and Protection" group lists 12 "martyrs" from the Gaza war on its website. It is not the police division; it seems to be mostly serving a function of bodyguards. However, of the 12 killed, PCHR listed 2 of them as "militants" and 9 of them as "police." (One I could not find.) Of the 9 "police," 6 of them were listed as Al Qassam Brigades members on the Al Qassam website itself, and two were listed as Al Qassam Brigades members in other sources. spokesperson, Mr. Islam Shahwan, informed the media that the police commanders had managed to hold three meetings at secret locations since the beginning of the armed operations. He added that “an action plan has been put forward, and we have conducted an assessment of the situation and a general alert has been declared by the police and among the security forces in case of any emergency or a ground invasion. Police officers received clear orders from the leadership to face the enemy, if the Gaza Strip were to be invaded.”278 Confirming to the Mission that he had been correctly quoted, Mr. Shahwan stated that the instructions given at that meeting were to the effect that in the event of a ground invasion, and particularly if the Israeli armed forces were to enter urban settlements in Gaza, the police was to continue its work of ensuring that basic food stuffs reached the population, of directing the population to safe places, and of upholding public order in the face of the invasion. Mr. Shahwan further stated that not a single policeman had been killed in combat during the armed operations, proving that the instructions had been strictly obeyed by the policemen. Here is a most obvious case where Goldstone's members are willing to believe what they are told by Hamas without any followup. If one assumes that the commission is accurate in defining the police as a separate, purely civil institution, this would seem to be the case. If one believes that it is a facade to make human rights organizations happy, then it is a bit less clear. civilian police force integrates former members of armed groups would not be unique to Gaza. part of al-Qassam Brigades or other armed groups. Nor does it disprove it. However, other evidence might cause one to tilt that way. For example, if the vast majority of Gaza's police force were also members of terror organizations, wouldn't that indicate that Hamas is quite happy with freely mixing the civil and militant duties of its members? led to prejudicial presumptions against the nature of the police force that may not be justified. 420. The Mission further notes that the study conducted by the Orient Research Group Ltd. Brigades, other armed Palestinian groups or “terror operatives” whose affiliation is not known. sole basis that they were allegedly Hamas members. I do not know the methodology of the Halevi report referenced here, but my research (using similar methods) has determined that at least 206 of the 242 policemen killed in Gaza were members of terrorist organizations or "military" groups. That is about 74%. At least 83 of them were explicitly listed as members on the official Al Qassam Brigades website. Many others were listed as "militants" by Al Mezan, in Al Qassam Brigades forums, and in PFLP and Islamic Jihad websites. And ten of them were recognized as militants by the PCHR. (About 15 of my count came from ICT and I have not corroborated yet on any militant website. Even so, it still leaves a vast majority of Palestinian Arab police as being actively affiliated with terror groups. This is the key fact: a police force that (at the very least) tolerates its members as also being terrorists loses its status as being worthy of protection. Perhaps not according to a strict interpretation of international law, but for all practical purposes the fact that the police also did traffic duties does not make them any less militant, any more than an army doing police duties would be immune from attack. It is true that some websites use the word "martyrs" when referring to women and children. However, my group's original research was careful to ignore any sources that did this practice. I did not see a single women or child (less than 16 years old) being mentioned as a member of any armed group. Moreover, we were careful not to count people listed only as "shahids" and made sure that those we counted were called "mujahid" or similar terms, if not explicitly members of specific brigades. In other words, Goldstone accepted the poor argument of Al Mezan without checking it against the specific entries mentioned. It also ignored my email to the Commission that listed my data and methodology. Its logic of throwing out any evidence that proved the police to be a sham front for terrorists, and accepting any evidence that claimed otherwise, is problematic indeed. they were not at immediate risk of being attacked. Note 411: “The hidden dimension of Palestinian war casualties…”. Only 4 of the more than 100 entries in the submission refer to combat action in Zeytoun, the much larger part of Gaza City of which al-Samouni neighbourhood is a part. The incidents in Zeytoun that are mentioned reportedly occurred on 6, 7, 11 and 13 January 2009, and consist of Palestinian combatants opening fire against Israeli troops with rocket-propelled grenades, a mortar (in one case) and detonating an explosive device. It is difficult for me to say that there was or was not military activity in the Samounis' neighborhood on January 4th. However, Goldstone takes the absence of any mention of incidents in the Al Zaytoun neighborhood (in which the Samounis lived) in an Israeli report as evidence that there was no significant fighting there on January 4th. Goldstone's other evidence is indeed Palestinian Arab witnesses. all as militants, actively fighting Israeli forces as they were killed in Al-Zaytoun on January 4th. In addition, (576) Ayman Mohammed Mohammed ‘Afana (policeman) was an Al Qassam Brigades member killed in that neighborhood on that day. And the fighting continued in Al-Zaytoun on January 5th:. Again, this doesn't mean that Goldstone is incorrect concerning the immediate area of the Samouni house, but it does indicate that the commission ignored easily-available data that could indicate that their implication that no fighting was taking place in Al-Zaytoun is wrong. So one of the civlians Goldstone lists as being killed was in fact a terrorist. 721. The Mission found the foregoing witnesses to be credible and reliable. It has no reason to doubt their testimony. I think there is more than enough reason to doubt their testimony. While we have already looked at some of Goldstone's inaccuracies concerning the civilian status of Gaza police, the report makes more specific mention of the police killed at the areas they visited in Gaza, mainly the Arafat police compound and the Al-Abbas police station. 435. From the facts available to it, the Mission finds that the deliberate killing of 99 members of the police at the police headquarters and three police stations during the first minutes of the military operations, while they were engaged in civilian tasks inside civilian police facilities, constitutes an attack which failed to strike an acceptable balance between the direct military advantage anticipated (i.e. the killing of those policemen who may have been members of Palestinian armed groups) and the loss of civilian life (i.e. the other policemen killed and members of the public who would inevitably have been present or in the vicinity). The attacks on the Arafat City police headquarters and the Abbas Street police station, al-Tuffah police station and the Deir al-Balah investigative police station constituted disproportionate attacks in violation of customary international humanitarian law. 436. From the facts available to it, the Mission further believes that there has been a violation of the inherent right to life of those members of the police killed in the attacks of 27 December 2007 who were not members of armed groups by depriving them arbitrarily of their life in violation of article 6 of the International Covenant on Civil and Political Rights. From the analysis here, Goldstone takes the facts that it was aware of, where the commission believed the Palestinian Arab NGOs as to which policemen were members of terror groups and discounting Israeli sources, and says that given that information, the direct military advantage of killing members of armed groups is not great enough to justify attacking the police stations knowing that many people who were not members of such groups would be killed. disproportionate attacks in violation of customary international law. The Mission finds a violation of the right to life (Article 6 ICCPR) of the policemen killed in these attacks who were not members of Palestinian armed groups. The implication is that if the majority of the 99 policemen killed in these specific attacks were members of armed groups, then Israel may have been justified in those attacks. Well, guess what? The majority of the policemen they refer to were members of terror groups. I'm not 100% sure where the number 99 came from, but according to PCHR there were 91 police killed at Arafat Police City and 9 killed at the al-Abbas police station on December 27th. Based on those 100 people, we have evidence that 65 of them were militants, or 65% - nearly two-thirds. Goldstone's flat-out statement that a majority were not members of armed groups is not true. Beyond that, Goldstone implies that many non-police civilians would have been in the area at the times of attack and therefore Israel should have not attacked for fear of hitting them. It gives no numbers of civilian casualties in those police stations, however. At Arafat Police City, 90 out of the 91 killed were police, and one was a "driver" who was also a member of the al-Qasaam Brigades. So 100% of those killed at that police station were, according to Goldstone's criteria, legitimate targets, as well over half were members of armed groups. It is ridiculous to say that group of terrorists who outnumber civilians by nearly 2-1 would be immune from legitimate attack under international law. While Goldstone's earlier analysis was more concerning the roles that the police were playing at the time of the attack, his conclusion seems to imply that if they were known to be members of terror groups then the attack would be legitimate. Which is exactly the case. It is worthwhile to mention that the Goldstone report chooses deliberately to concentrate only of specific events that would demonize Israel. Instead of looking at the total numbers of killed and the circumstances, the Commission cherry-picked specific events and looked in more detail at those events. Therefore, they chose the initial Israeli attacks on police stations on December 27th because those attacks appeared to be the most egregious attacks on civilians (in their minds.) Yet even in this case, they are wrong. 820. The al-Maqadmah mosque is situated near the north-west outskirts of Jabaliyah camp, close to Beit Lahia. It is located less than 100 metres from the Kamal Idwan hospital, in the al-Alami housing project. At least 15 people were killed and around 40 injured – many seriously – when the Israeli armed forces struck the entrance of the mosque with a missile. ...relating to a strike against the “Maqadme” mosque in Beit-Lahiya on January 3rd, 2009, it was discovered that as opposed to the claims, the mosque was not attacked at all. Furthermore, it was found that the supposed uninvolved civilians who were the casualties of the attack were in fact Hamas operatives killed while fighting against the IDF. 830. Apart from the apparent contradictions it contains, the Mission notes that the statement does not indicate in any way the nature of the inquiry, the source of its information or the reliability and credibility of such sources. I have no indication that the mosque was not hit by IDF forces, and I have no reason to doubt Goldstone concerning the matter; they appear to have found forensic evidence that indicates it was an Israeli strike rather than a Hamas bomb. There are a couple of inconsistencies, however. The claim that at least 15 were killed seems to have come from the initial PCHR report of the incident, which lists 12 people killed and claims that three more died in the following days. However, PCHR only lists 11 to have died in the Jabalya refugee camp on January 3rd; and additional 3 died in Beit Lahiya on that date (one of whom was listed in the initial PCHR report), and I found one who died later, so it is possible that 15 were killed if all of the Beit Lahiya victims were in the mosque as well, but the PCHR report indicated that three of them died at a later date and that is not reflected in the final list. It seems to be very unlikely that 6 of the 15 known dead in a mosque crowded with hundreds of civilians would be terrorists. Either the mosque itself had a hundred terrorists or so, or something else is going on. (Jonathan D. Halevi counts 7 dead terrorists). Could there have been an attack from the area of the mosque? 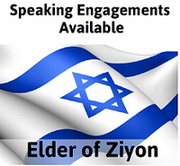 Could an informant have given the IDF information of the whereabouts of known terrorists? I don't know, and unfortunately the IDF isn't giving out any verifiable information about the incident, but this does not seem to be the "slam-dunk" that Goldstone represents it as. At the very least, these avenues should have been pursued, using any means that Goldstone had at their disposal - the same means I and my team has had to verify the militant status of many civilians. Unfortunately, fairness does not seem to have been a part of the Goldstone mandate, and when the evidence supports the commissions preconceived notions of the truth, they have had little incentive to look beyond the biased testimonies they eagerly accepted. Testimony from people like the sheikh of the mosque - who happens to share the same last name as two of the Al Qassam Brigades members listed above. 1582. Insofar that movement and access restrictions, the settlements and their infrastructure, demographic policies with regards to Jerusalem and Area C, and the separation of Gaza from the West Bank prevent a viable, contiguous and sovereign Palestinian State from being created, they are in violation of the jus cogens right to self-determination. 1744. Insofar as movement and access restrictions, the settlements and their infrastructure, demographic policies vis-à-vis Jerusalem and Area C of the West bank, as well as the separation of Gaza from the West Bank, prevent a viable, contiguous and sovereign Palestinian state from arising, they are in violation of the ius cogens [sic] right to self-determination. I am not a lawyer and have no legal training. Even so, I believe that this is an astonishing statement from a number of legal perspectives. The two important United Nations studies on the right to self-determination set out factors of a people that give rise to possession of right to self-determination: a history of independence or self-rule in an identifiable territory, a distinct culture, and a will and capability to regain self-governance. The first factor simply does not exist for Palestinian Arabs. The second is arguable; I believe that a distinct Palestinian Arab culture is a relatively new phenomenon that coincides with (at the earliest) 1948, and that the cultural differences between Palestinian Arabs and other Arabs is no different in scope than the cultural differences that exist within any country. And the third factor is specious, given the history of Palestinian Arab politics from the 1920s up until today. Even if you argue points 2 and 3, point 1 is demonstrably false and therefore the entire idea is wrong. Even though the UN seems to have redefined "self-determination" in order to accommodate its pet Palestinian project, this does not make these factors automatically disappear. Secondly, if you accept that there is a people called "Palestinians," the concept of "self-determination" does not automatically mean "the right to a state." The ICJ seems to define this as the right of a people to govern their own affairs free from outside interference - emphatically not statehood, a right that the world community would never accept for fear of every minority suddenly demanding the right of independence. Goldstone is not trying to give legal sanction to a Palestinian Arab state with free passage between two territories; he is not trying to innovate by saying that virtual contiguity via video and computer networks could be an alternative to physical contiguity. He is advocating that Israel cut itself in two and he is trying to say that the rights of Palestinian Arabs trump those of Israelis. It may be politically incorrect to question Palestinian Arab peoplehood or to muse whether a state is the necessary means to achieve their self-determination. This does not make that opinion factually incorrect. Goldstone's sacrifice of legal definitions to the altar of political correctness is saddening, but not surprising. However, the idea that somehow Palestinian Arab nationhood can rightfully impact Israeli national rights, as enshrined in the UN itself, is past sloppy interpretation of the law - it is illegal itself. UPDATE: An email correspondent with real legal credentials told me that the idea that "self determination" falls under jus cogens is laughable. One of the most-exaggerated events of the Gaza war was the accusation that Israel had bombed an UNRWA school, killing some 46 people according to some reports. As time went on, it became clear that the school itself was not hit except from shrapnel, and that the numbers claimed to have been killed were vastly exaggerated. 41. The Mission examined the mortar shelling of al-Fakhura junction in Jabalya next to a UNRWA school which at the time was used as a shelter housing more than 1,300 people (Chapter X). The Israeli forces launched at least four mortar shells. One landed in the courtyard of a family home, killing eleven people assembled there. Three other shells landed on al-Fakhura Street, killing at least a further 24 people and injuring as many as 40. 687. Three other shells landed on al-Fakhura Street, which was busy at the time, killing at least a further 24 people and injuring as many as 40. The question is, how did Goldstone get the idea that 24 were killed on al-Fakhoura Street? 661. The three other shells that the Mission could identify as having landed at different places on al-Fakhura Street killed at least 24 people. The witnesses estimate that up to another 40 were injured by the blasts. The Mission has not been able to verify those figures, but having inspected the site and viewed the footage, it does not consider these numbers to be exaggerated. In other words, the Goldstone Commission did not even attempt to enumerate the people allegedly killed on al-Fakhoura street, taking Palestinian Arab witnesses at their word! How could the esteemed Commission have verified these numbers? Well, for one thing, they could have simply looked at the PCHR report of those killed in Gaza and counted the number of people said to have been killed near the al-Fakoura school. Gaza." The others seem to always be described as either having lived or having been killed "Near al-Fakhoura School/ Jabalia Refugee Camp/Northern Gaza." There are only 12 people who are described that way. It is possible that PCHR was not consistent in its definitions, but this maps with the number of victims that the IDF claimed to have been killed outside the school. The IDF and the JCPA list different victims for the school than PCHR does, and it is possible that there were more victims. However, it seems to be unlikely to be too many more. The Goldstone Commission claims that there were three mortars in the area, and generally mortars do not kill that many people. 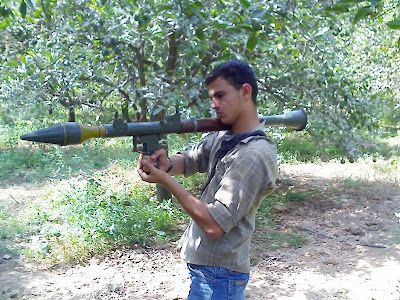 Khaled Mohammed Fuoad Abu Askar (Abu al-‘Izz), an Izz al-Din al-Qassam Brigades operative, was born on December 12, 1989, in Jabaliya. At the age of 15 he joined the Muslim Brotherhood and was active in the Hamas student organization, which serves as a recruiting agency for the Izz al-Din al-Qassam Brigades. In 2006 he was accepted into fighting groups posted in front-line positions. He underwent an advanced military training course and was posted to a special unit of the north Gaza battalion where he participated in dozens of ambushes and fought against IDF forces. He served as a military instructor in the Imad Aqel battalion and supervised the ambush and suicide unit. If we accept the PCHR placement of victims, then 3 out of 12 victims were terrorists. If we accept JCPA's list, then some 10 terrorists out of (let's use Goldstone's) 24 people were killed. Either way, the number of terrorists killed is not consistent with the characterization that Goldstone gives; in fact Goldstone does not admit that any terrorists were killed in the incident at all. Goldstone admits that there were some reports that there was mortar firing from Gaza militants, bringing two news reports from AP and British Channel 4 in footnotes (391), and also mentions that nine witnesses deny any firing from the area (para. 672.) Goldstone does not use this inconsistency to indicate that witnesses may be unreliable; instead the report says "the Mission accepts, for the purposes of this report, that some firing may have occurred that gave rise to the Israeli armed forces’ response." Godlstone spends a bit of time pointing out inconsistencies between the initial Israeli reaction to the attack and subsequent reports. In fact, Goldstone uses these inconsistencies as proof that the Israeli version of events is not reliable. There indeed were inconsistencies between israel's initial reaction to the flawed reports of up to 50 victims in the school and the final report issued months later. However, there were also inconsistencies between how the UN initially characterized the attacks (saying over 40 were killed and that the school itself was attacked) and how it changed its tune afterwards, yet Goldstone does not question the UN witnesses' veracity in the face of these inconsistencies. The IDF internal investigation provided important context for this incident. It revealed that Hamas often used 120mm mortars to attack Israeli towns and villages near the border of Gaza. Hamas terrorists had acquired significant expertise with these weapons and improved the accuracy of their technique; this tactic was central to Hamas‘ method of fighting the IDF in urban areas. Hamas‘ use of 120mm mortars posed a serious threat to IDF ground forces. Only a day before the incident in question, Hamas mortar fire had injured 30 IDF soldiers. 42. In drawing its legal conclusions on the attack against al-Fakhura junction, the Mission recognizes that for all armies proportionality decisions, weighing the military advantage to be gained against the risk of killing civilians, will present very genuine dilemmas in certain cases. The Mission does not consider this to be such a case. The firing of at least four mortar shells to attempt to kill a small number of specified individuals in a setting where large numbers of civilians were going about their daily business and 1,368 people were sheltering nearby cannot meet the test of what a reasonable commander would have determined to be an acceptable loss of civilian life for the military advantage sought. The Mission considers thus the attack to have been indiscriminate in violation of international law, and to have violated the right to life of the Palestinian civilians killed in these incidents. In either of the two possible scenarios I mention, where either 3 out of 12 or 10 out of 24 killed were terrorists, it is far from clear that Goldstone's analysis holds water. Given the facts that al-Qassam and DFLP terrorists were in the area, that mortar fire was coming from that area (according to reporters who interviewed witnesses), that the IDF responded without hitting the school itself, and that IDF return fire did indeed kill a number of terrorists far out of proportion to the report's characterization of a busy street with 150 civilians randomly scattered about (para. 698, using the Hamas witness again as their primary source,) it seems that Goldstone's legal analysis as to the military advantage of IDF returning fire is incorrect. 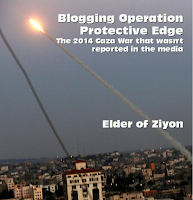 The Goldstone Report pretends to investigate whether Hamas used Gazans as human shields. As it does so, it bends over backwards to give the impression that Hamas is innocent even as the evidence it brings shows the opposite. Goldstone starts off with the issue with allegations that Hamas forced civilians to act as human shields. Paragraph 473 states, not surprisingly, that none of the Gaza witnesses they called to testify claimed that Hamas forced them to stay in areas from where Hamas was attacking. Para. 474 mentions a 2007 incident where Hamas calls on civilians to voluntarily protect an area that israel was planning to bomb, but notes that this didn't occur during the war. Para. 475 mentions a video on YouTube where Hamas brags that Gazan women, children and the elderly act to protect areas from Israeli attack. What other explanation could there be? Goldstone doesn't even hazard a guess. 480. On the basis of the information it gathered, the Mission finds that there are indications that Palestinian armed groups launched rockets from urban areas. The Mission has not been able to obtain any direct evidence that this was done with the specific intent of shielding the rocket launchers from counterstrokes by the Israeli armed forces. The Mission also notes, however, that Palestinian armed groups do not appear to have given Gaza residents sufficient warning of their intention to launch rockets from their neighbourhoods to allow them to leave and protect themselves against Israeli strikes at the rocket launching sites. 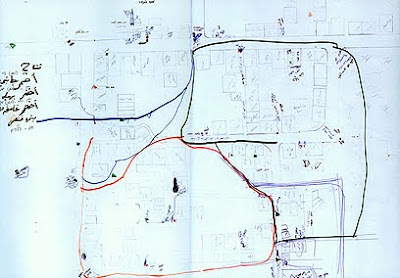 The Mission notes that, in any event, given the densely populated character of the northern half of the Gaza Strip, once Israeli forces gained control of the more open or outlying areas during the first days of the ground invasion, most -- if not all -- locations still accessible to Palestinian armed groups were in urban areas. The bar that Goldstone creates of determining "specific intent" is much higher for Hamas than for the IDF, which it declares multiple times "deliberately" targeted civilians. And notice how Goldstone excuses Hamas' using civilian neighborhoods, claiming that Hamas had no choice - as if there were no rocket attacks from civilian neighborhoods before the Israeli ground invasion. Again, Goldstone is doing everything possible to exonerate Hamas from war crimes. While reports reviewed by the Mission credibly indicate that members of Palestinian armed groups were not always dressed in a way that distinguished them from civilians, the Mission found no evidence that Palestinian combatants mingled with the civilian population with the intention of shielding themselves from attack. 491. The Mission finds it useful to clarify what is meant, from a legal perspective, by using civilians or a civilian population as a human shield. Parties to a conflict are not permitted to use a civilian population or individual civilians in order to render certain points or areas immune from military operations. It is not in dispute that both Palestinian armed groups and Israeli forces were fighting within an area populated by civilians. Fighting within civilian areas is not, by itself, sufficient for a finding that a party is using the civilian population living in the area of the fighting as a human shield. As the words of article 57 (1) show (“shall not be used to render”, “in order to attempt to shield”), an intention to use the civilian population in order to shield an area from military attack is required. Even though Goldstone started off the discussion as to whether Hamas forced civilians to stay in areas of fighting, at this point - 18 paragraphs later - he mentions that the legal requirement has nothing to do with someone being forced to act that way. The video of Hamas' "Mr. Hammad" that says explicitly that Gaza civilians were used to shield militants from attack is very relevant now, but Goldstone dismissed it above in context of whether civilians were forced to act that way - which is irrelevant for the purposes of this law. In other words, Goldstone organized the report structure itself in a way to make Hamas look as innocent as possible. Had he started off with the legal definition of human shield and then referred to the video above, the evidence is overwhelming that Hamas encourages this blatantly illegal action. Yet in the very next paragraph, Goldstone goes back to his implied initial definition: 492. From the information available to it, the Mission found no evidence to suggest that Palestinian armed groups either directed civilians to areas where attacks were being launched or forced civilians to remain within the vicinity of the attacks.But there is abundant evidence that they located their rockets in civilian areas to shield themselves from retaliation, which is the legal standard! Not to mention published reports in Arab media of Hamas using people as human shields. On this topic, where the truth is as clear as can be based on hard evidence, Goldstone twists the facts to try to make Hamas seem as innocent as he can. The difference between what he considers compelling evidence to accuse Hamas of war crimes and what he accepts vis a vis Israel's alleged war crimes could not be starker. 414. On 1 January 2009, during the Israeli military operations in Gaza, the police spokesperson, Mr. Islam Shahwan, informed the media that the police commanders had managed to hold three meetings at secret locations since the beginning of the armed operations. He added that “an action plan has been put forward, and we have conducted an assessment of the situation and a general alert has been declared by the police and among the security forces in case of any emergency or a ground invasion. Police officers received clear orders from the leadership to face the enemy, if the Gaza Strip were to be invaded.”278 Confirming to the Mission that he had been correctly quoted, Mr. Shahwan stated that the instructions given at that meeting were to the effect that in the event of a ground invasion, and particularly if the Israeli armed forces were to enter urban settlements in Gaza, the police was to continue its work of ensuring that basic food stuffs reached the population, of directing the population to safe places, and of upholding public order in the face of the invasion. Mr. Shahwan further stated that not a single policeman had been killed in combat during the armed operations, proving that the instructions had been strictly obeyed by the policemen. All three paragraphs have something in common - they all rely on the testimony of Gaza police spokesman Islam Shahwan. There is no indication of any skepticism in Shahwan's testimony to the Goldstone Commission. Now, there's a reliable witness! Goldstone looks for Israeli corroboration for a series of incidents that he details of alleged IDF point-blank shooting of civilians. He heavily relies on the published anonymous "testimony" of soldiers speaking at the Rabin Academy as well as for the organization Breaking the Silence. In one incident highly relevant to the cases investigated by the Mission because of factual similarities, a soldier recounted an event he witnessed. (448) A family is ordered to leave their house. For reasons that remain unclear, probably a misunderstanding, the mother and two children turn left instead of right after having walked between 100 and 200 metres from their house. They thereby cross a “red line” established by the Israeli unit (of whose existence the mother and children could have no knowledge). An Israeli marksman on the roof of the house they had just left opens fire on the woman and her two children, killing them. As the soldier speaking at the Rabin Academy’s “Fighters’ Talk” a month later observes, “from our perspective, he [the marksman] did his job according to the orders he was given”. Footnote 448 notes " Testimony of 'Ram' in the Rabin Academy Fighters’ Talk, pp. 6-7. The Mission notes that “Ram” clearly states that he was an eyewitness to the incident." So, although Goldstone did not find any direct corroboration for the terrible stories he tells of heartless IDF soldiers consistently picking out and shooting women and children from close range, he felt that "Ram"'s supposed testimony to the Rabin Academy acts as a reasonable proof of the Palestinian Arab testimony. The problem is that after Ha'aretz published the Rabin Academy talks, the other Israeli newspapers went to great lengths to find out whether the stories told were true. This specific incident was especially heinous and one of the soldiers that recounted the incident was tracked down by Israel's Channel Two, and he told the reporter that he did not witness the incident and in fact was not even in Gaza! The New York Times also followed up and mentioned that the investigation found this incident to be "an urban myth." Even if Goldstone believes the unsourced "testimony" of "Ram" above the IDF investigation, he should have mentioned that there is a dispute about Ram's "eyewitness" testimony. He could hardly have been unaware of the firestorm that erupted in Israel as a result of the Ha'aretz article. His failure to do so, when the followup information was so widely disseminated, is significant and troubling. In short, Goldstone uses an apparent Israeli urban myth to corroborate separate Palestinian Arab narratives of different incidents - which means he has no corroboration at all. It is hard to escape the conclusion that Goldstone wanted to believe the Palestinian Arab stories of being shot so badly (he states multiple times that they are "credible and reliable witnesses") that he purposefully cherry picked very dubious Israeli "testimony" to back it up, rather than look at the facts impartially - or even to mention in passing that the IDF claims to have discredited "Ram." Since he accuses the IDF a fortiori of not being able to credibly investigate its own soldiers, he doesn't even mention any questions about "Ram." It is also interesting that none of the 53 anonymous interviews in "Breaking the Silence" mentioned any first-hand knowledge of wanton killing of civilians. They mentioned that the rules of engagement could end up with soldiers making decisions that would weight Gaza civilian lives less than the lives of the soldiers themselves - something Goldstone highlights - but as far as I can tell, every interaction of the soldiers and civilians mentioned there does not come anywhere close to the horrors narrated by the Palestinian Arabs. This absence of corroboration from Israeli soldiers who were upset at the Gaza operation is noteworthy - if they had seen anything like what Goldstone reports, they would have mentioned it. 311. The military operations of 28 December to 19 January 2009 and their impact cannot be fully evaluated without taking account of the context and the prevailing living conditions at the time they began. In material respects, the military hostilities were a culmination of the long process of economic and political isolation imposed on the Gaza Strip by Israel, which is generally described as a blockade. Why exactly does Goldstone choose the blockade as the beginning point of the narrative? It would be at least as valid to choose the beginning of the Qassam rocket fire on Israelis several years beforehand, or perhaps the violent Hamas coup against the PA, or perhaps the rocket fire that came after Israel's disengagement from Gaza, or any of a number of other seminal events each of which helped shape the circumstances of the fighting. Is it not strange to ignore the role that thousands of Qassam rocket attacks had in setting this fighting into motion, and that they are not considered a seminal event by Goldstone? Israel controls the border crossings (including to a significant degree the Rafah crossing to Egypt, under the terms of the Agreement on Movement and Access 163) and decides what and who gets in or out of the Gaza Strip. However, the link he provides to this Agreement shows no such thing. In reality, Egypt was not a signatory to the Rafah Agreement - it was between Israel, the PA and the EU. Israel could veto specific people from going into Gaza, and it could watch the crossing via closed-circuit TV, but the Rafah Agreement provided for EU observers to be the main gatekeepers and for the Palestinian Authority to be the party responsible on the Gaza side. After the Hamas coup, the Rafah crossing was closed because the EU observers could no longer travel there safely and because the PA was no longer in charge, as per the agreement. Israel's influence over Egyptian behavior at Rafah has nothing to do with this agreement, that was in any case effectively abrogated by Hamas' coup. Egypt has opened up the Rafah border on a number of occasions, for humanitarian aid and for people to cross (often for pilgrimages to Mecca or medical reasons.) There is nothing in the Rafah Agreement that precludes Egypt from fully opening up Rafah. There are obvious reasons why it doesn't do so, and they have little to do with Israel. In other words, Goldstone blames Israel exclusively for the blockade, even on the Egyptian side, using a link to a UN document that shows nothing of the sort. The tunnels built under the Gaza-Egypt border have become a lifeline for the Gaza economy and the people. Increasing amounts of fuel (benzine and diesel) come through those tunnels as well as consumables. Since Goldstone ignores the smuggling of weapons to Hamas through the tunnels in context of the blockade, it doesn't even address the concerns that Israel has about allowing construction materials or infrastructure materials like metal pipes into Gaza. It ignores the fact that Hamas has confiscated metal pipes meant for sewage treatment in order to manufacture rockets. More generally, Goldstone doesn't address other pertinent facts about the reasons for the blockade. Hamas takes all of the available materials that Israel allows into Gaza first, and then hands over the leftovers to the rest of the territory. It ensures that it has all the fuel it needs before it allows the rest to go to ordinary Gazans. Hamas has also stolen ambulances donated by other countries and converted them for military use. All these are ignored by Goldstone as he assails Israel alone for the blockade. Hamas' apparent policy is that any imports to Gaza are primarily used for military purposes and only secondarily to help Gazans themselves. If that policy would change, in a transparent manner, all indications are that Israel would allow far more goods through to Gazans. One only needs to see the differences between how Israel treats Palestinian Arabs in the West Bank and those in Gaza to see that the driving factor for Israeli behavior is not to punish the people but to protect Israeli citizens. Goldstone sees no such nuance. He flatly states that the blockade "amounts to collective punishment intentionally inflicted by the Government of Israel on the people of the Gaza Strip" (para. 1878). One can argue whether the blockade is effective, and one could argue whether the specific goods Israel disallows into Gaza can be used against Israel. But if Goldstone is being fair he should at least mention Hamas abuses with the goods that are brought into Gaza as a possible reason for Israel's reticence to provide it with such goods. Similarly, he fails to point any blame at Hamas for Israel's reluctance to provide Gaza with materials that Hamas would immediately use against Israelis. and Kawthar Abd Rabbo in Izbat Abd Rabbo; and the attempt of an ambulance driver to evacuate Rouhiyah al-Najjar after she had been hit by an Israeli sniper. In all three cases the Mission found, on the facts it gathered, that the Israeli armed forces must have known that there were no combatants among the people to be rescued or in the immediate vicinity. Why is this paragraph here? The section is meant to discuss possible Hamas war crimes, but before Goldstone even starts looking at any evidence, he puts in this utterly irrelevant paragraph about alleged Israeli war crimes, whose only tangential relevance is the word "ambulances." The entire section this is under is called "VIII. OBLIGATION ON PALESTINIAN ARMED GROUPS IN GAZA TO TAKE FEASIBLE PRECAUTIONS TO PROTECT THE CIVILIAN POPULATION." Before Goldstone even entertains the possibility of Hamas war crimes in context of ambulances, he feels compelled to throw in an unrelated dig at the IDF that he already covered at length elsewhere in the report. Is this supposed to be "unbiased?" While Mr. Shriteh's account shows that Hamas was unsuccessful in his case, he makes it clear that this was not an isolated incident and that Hamas tried (and, he implies, succeeded) on numerous occasions to use ambulances to transport its members. There is a bit of sleight of hand going on here. Shriteh spoke of Hamas' attempts not only to commandeer PRCS ambulances but also hospital ambulances; MDA and PRCS are only speaking of PRCS ambulances. Other organizations also had ambulances in Gaza, such as Oxfam. It is probable that Hamas' own medical wing has ambulances as well. 474. While it is not possible to say that no attempts were ever made by any armed groups to use ambulances during the military operations, the Mission has substantial material from the investigations it conducted and the enquiries it made to convince it that, if any ambulances were used by Palestinian armed groups, it would have been the exception, not the rule. When Hamas is accused of a war crime, Goldstone brushes it off as "an exception, not the rule." Nowhere in the report does Goldstone give Israel the same benefit of the doubt; on the contrary, the cherry-picked examples that Goldstone concentrates on specifically take the larger context out of the framing of the accusations. Potentially problematic Israeli actions are characterized as the rule and barely ever placed in the context of a complex military operation where thousands of decisions need to be made instantly; Hamas' crimes - when they are considered at all - are considered the "exception." None of the ambulance drivers that were directly interviewed by the Mission reported any attempt by the armed groups to use the ambulances for any ulterior purpose. Did Goldstone attempt to contact Mohammed Shriteh? Moreover, of the ambulance staff members and their volunteer assistants that were killed or injured in the course of their duties, none was a member of any armed groups, so far as the Mission is aware. And another: Ra'afat Sami Ibrahim (Muharram), medic, whose Al Qassam Brigades obituary describes him as leaving his cell phone and personal belongings at the hospital right before he was killed, telling everyone that he would return as a "martyr." Not to mention ‘Azmi Hisham ‘Azmi Abu Dalal, medic, Al Qassam member. Or Ahmed Abdullah Salem Al-Khatib, nurse, and also PRC-Saladin Brigades field commander. Or Ihab ‘Umar Khalil al-Madhoun, physician and al-Qassam member. 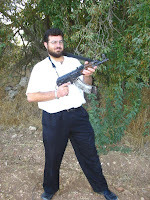 Or Issa Abdul Rahim Saleh, physician, who also shot rockets and planted bombs according to his al-Qassam obituary. It appears that there were plenty of physicians and medics in Gaza who also happened to be members of armed groups. Yet Goldstone wasn't "aware" of any of them. There are other facts that would make an objective observer question whether Hamas was using ambulances and military installations for combat purposes. After the Gaza operation, while Goldstone's mission was underway, the Palestinian Ministry of Health charged Hamas with confiscating ambulances and medical equipment donated by Arab countries and converting them to military vehicles. There were reports during the operation that Hamas leader Mahmoud Zahar had escaped to Egypt in an ambulance. Hamas had confiscated aid trucks, including medical aid meant for PRCS, both in 2008 and immediately after the operation. Hamas even converted medicine bottles into Molotov cocktails. Putting these facts together, all of which were reported in English-language media, should make one skeptical about Hamas' separation of medical and military tasks. Yet Goldstone simply waves away any of these concerns by implying that if the mission is not aware of them, there is no reason to believe them. The overwhelming impression one gets is that Goldstone tried very hard to find any Israeli "war crimes" he could, but he wouldn't go out of his way to find anything wrong with what Hamas was doing. The mission, supposedly sent to do fact-finding, seems to have only taken the information that fell into its lap and didn't make any effort to do any independent investigation that would go beneath the surface. Beyond that, this section shows that circumstantial and hearsay evidence was given great weight by Goldstone when it was against Israel and it was summarily dismissed, or ignored altogether, when it was against Hamas. UPDATE: Mahmoud Abbas also accused Hamas leaders of using ambulances to escape to Egypt. 1933. In addition to the above general findings, the Mission also considers that Israel has violated its specific obligations under the Convention on the Rights of the Child and the Convention on the Elimination of All Forms of Discrimination against Women, including the rights to peace and security, free movement, livelihood and health. Goldstone sites the Convention on the Elimination of All Forms of Discrimination against Women no less than eight times in the report. As its very name implies, it is a component of international humanitarian law to stop discrimination against women. This means that in order to violate this convention, Israel would have had to treat Gaza women worse than it treated its men, simply because they are women. Goldstone looks at Gaza, where the run by the Islamist Hamas movement, where sharia law is considered the major component of its legal system - and it sees Israel discriminating against women! Paragraph 2, according to Goldstone, applies to Israel, not (for some reason) the Gaza government. It seems obvious that this convention applies to parties who actually control the territory in which women reside, but Goldstone apparently believes that Israel has this responsibility. However one chooses to interpret the convention, Goldstone is wrong. If this convention applies to enemy parties in wartime, then Hamas should be equally in violation of this law for every rocket sent to Sderot or Ashkelon that forced any pregnant woman or mother affected by rockets in Sderot, whose access to services and food was impaired because she had to run to a shelter, or whose sleep was disturbed by sirens. Needless to say, Goldstone does not say that Hamas violated any such humanitarian laws. If the convention does not apply to opposing parties, than Hamas is the one responsible to ensure that women under its control continue to get access to medical services, prioritized above military needs. As far as I can tell, Hamas did no such thing. NGOs took over the bulk of humanitarian needs for Gaza during the conflict. If one reads the convention as being specifically about discrimination against women, Goldstone does not come anywhere close to proving any discriminatory policy done by Israel against women. Nor does he try to, as it would be absurd. On the contrary, if Israel's war policy was to indiscriminately shoot at Gaza civilians, one would expect roughly half of the casualties to be female. Yet out of roughly 1400 deaths in Gaza, only about 15% were female. If anything, Israel discriminated against males aged between 18-35, who were most of the casualties. The applicability of other legal conventions and covenants that Goldstone quotes are equally bizarre upon examination. 941. The Mission finds that, as a result of its actions to destroy food and water supplies and infrastructure, Israel has violated article 1 of the International Covenant on Civil and Political Rights, article 11 of the International Covenant on Economic, Social and Cultural Rights and article 12 (2) of the Convention on the Elimination of All Forms of Discrimination against Women. Presumably Goldstone holds Israel to these standards because he considers Gaza to be "occupied" by Israel. Ironically, this text proves that Israel does not occupy Gaza, because it would be literally impossible for Israel to perform the part of the convention highlighted above - it simply does not control Gaza to the extent that this convention assumes a "state party" does. How, exactly, would Goldstone expect Israel to teach proper nutrition or modern agricultural techniques to Gazans? When Goldstone says that Israel violates paragraph 1 above when it seemingly destroyed a flour mill, he must also allow that Israel is violating paragraph 2 by not teaching Gaza schoolchildren how to eat properly. Yet paragraph 2's clear inapplicability to Israel proves paragraph 1's inapplicability to Israel's relationship with Gaza as well. Goldstone is quoting international law provisions that cannot apply to Israel in Gaza and that were clearly not intended for warring parties to provide for each other. Goldstone's other citation, of the International Covenant on Civil and Political Rights, is even more of a stretch in this context. Article 1 of that covenant is simply a statement on the rights of people for self-determination. Citing that covenant to say that bombing a flour mill is illegal is bizarre, as every bullet in every war can be interpreted to violate that very same covenant. Thus far in my readings of Goldstone, I have not ascribed any sort of malice to him. I certainly detect obvious bias and some very distressing blindness, but I felt that he was doing this report in good but misguided faith. But it is hard to ignore these findings and continue to give him this benefit of the doubt. Goldstone is a lawyer, a judge, someone who should be expert in international law. His misrepresentations of international law shown here as well as in previous posts I have written are astonishing. Either he does not know the law, or he is purposefully misrepresenting it in ways that are designed to make Israel look as guilty as possible. His citations listed here indicate the latter. He is twisting international law to apply solely to Israel. No international convention is too far afield for him to hang criticism of Israel on. The connections between these citations and the reality of Gaza are incredibly tenuous, but only someone with a level of legal expertise could even imagine them to begin with. One cannot help but conclude that Goldstone's misuse of sources for international law is deliberate. 1515. At the public hearing in Geneva on 6 July 2009, Mr. Shawan Jabarin of Al-Haq reported that tens of thousands of Palestinians today are subject to a travel ban imposed by Israel, preventing them from travelling abroad. Mr. Jabarin, whom the Mission heard in Geneva by way of videoconference, had been subject to such a travel ban since he became the director of Al-Haq, the West Bank’s oldest human rights organization. Mr Jabarin challenged his travel ban in the Israeli High Court after he was prevented from travelling to the Netherlands to receive a human rights prize, but the ban was upheld on the basis of ‘secret evidence’.864 Mr. Jabarin believed that the ban was imposed as punishment. 1. The petitioner, a resident of the West Bank, requests to be permitted to leave for abroad – according to the petition – in order to participate in the award ceremony of a prestigious award for “human rights defenders”. The state objects to the request due to the objections of security officials. In the public response submitted by the state, it is said that the petitioner is a senior activist in a terrorist organisation, and that his leaving for abroad may serve for the advancement of the terrorist organisation’s activity in the West Bank. Goldstone relied on testimony from someone who, if the commission read their own footnotes, was proven by the Israeli Supreme Court to be a senior member of the terrorist group PFLP! And notice that the director of Al Haq, the "West Bank’s oldest human rights organization," is a PFLP terrorist - something that, as far as I can tell, Jabarin does not deny. In fact, in 2003, Israel allowed Jabarin to travel to Jordan - and Jordan refused to accept him presumably because of his terror links! Ma'an quotes to an Al-Arabiya TV interview with Hamas politburo chief Moussa Abu Marzouq. In the interview, Marzouq points out exactly why Hamas is so ecstatic over the Goldstone report, even though people think that the report condemns Hamas for shooting rockets into Israel. Moussa Abu Marzouq reiterated the party’s stance on the UN-mandated Goldstone report, which says there is evidence of war crimes in the actions of Israel and Gaza factions during Israel’s Operation Cast Lead in December and January. Sure enough, the report does everything possible not to explicitly name Hamas as being in violation of any humanitarian laws. 1611. The ‘al Qassam Brigades’ are the armed wing of the Hamas political movement. 1635. In response to questions by the Mission, on 29 July 2009, the Gaza authorities stated that they had “nothing to do, directly or indirectly, with al-Qassam or other resistance factions” and stated that they were able to exercise a degree of persuasion over the armed factions in relation to proposed ceasefires. While noting that the weaponry used by the armed factions was not accurate, the Gaza authorities discouraged the targeting of civilians. 1950. In relation to the firing of rockets and mortars into southern Israel by Palestinian armed groups operating in the Gaza Strip, the Mission finds that the Palestinian armed groups fail to distinguish between military targets and the civilian population and civilian objects in southern Israel. The launching of rockets and mortars which cannot be aimed with sufficient precisions at military targets breaches the fundamental principle of distinction. Where there is no intended military target and the rockets and mortars are launched into civilian areas, they constitute a deliberate attack against the civilian population. These actions would constitute war crimes and may amount to crimes against humanity. This is the "balance" that Goldstone proudly points to. Israel is mentioned explicitly with regards to tens of alleged human rights violations; Hamas is not mentioned in connection with any war crimes! And Goldstone maintains the fictional separation between "the Gaza authorities" and "armed groups," meaning between Hamas and its own military wing called the al-Qassam Brigades. 1952. With regard to the continuing detention of Israeli soldier Gilad Shalit, the Mission finds that, as a soldier who belongs to the Israeli armed forces and who was captured during an enemy incursion into Israel, Gilad Shalit meets the requirements for prisoner-of war status under the Third Geneva Convention and should be protected, treated humanely and be allowed external communication as appropriate according to that Convention. 1954. Although the Gaza authorities deny any control over armed groups and responsibility for their acts, in the Mission’s view, if they failed to take the necessary measures to prevent the Palestinian armed groups from endangering the civilian population, the Gaza authorities would bear responsibility for the damage arising to the civilians living in Gaza. The only recommendations in the report to "Gaza authorities" are to release political detainees and to "continue to enable the free and independent operation of Palestinian non-governmental organizations." Hamas is not given a single recommendation to stop rocket attacks. Hamas is not told to stop incitement. Hamas is not told to release Gilad Shalit (as if he is being held against Hamas' wishes!). No wonder Hamas is thrilled about the report. In the entire 450 page report, Hamas is not singled out once for condemnation. And all the news stories and Goldstone interviews that claim that the report condemns Hamas are wrong. The Goldstone Report has a section about the booby-trapping of Palestinian Arab houses by Hamas. If Hamas booby-trapped houses in civilian neighborhoods, that would violate the principle of distinction, which is a major claim that Goldstone accuses Israel of routinely violating during the operation. It would mean that Hamas disregarded the lives of its own people to at least the same extent that the report claims the IDF forces did. houses by Israeli soldiers in different areas in Gaza. None of these incidents showed the use of booby traps. Goldstone begins his analysis of whether Hamas booby-trapped houses and civilian areas by saying that none of its eyewitnesses, who were handpicked by the Commission to prove the worst allegations of Israeli abuses, verified that they saw any Hamas booby-traps - while they were detailing highly suspect testimony that Israel used these witnesses as human shields. Besides the fact that these people were not chosen to investigate booby-trap claims, Goldstone is implying that since they didn't see the booby traps, there is no direct evidence that such traps existed. One does not have to be a military expert to realize that if Hamas did booby trap homes, they would not have wired up every house in every neighborhood; rather they would only choose a sample of homes that they would try to lure IDF soldiers into. Saying that supposed witnesses did not see any booby traps is, literally, meaningless as proof one way or the other. In addition, it also proves that Goldstone did not set out to investigate Hamas war crimes, and only would report on things that the commission found out about while they were investigating alleged Israeli crimes. So after writing an initial paragraph whose only purpose is to cast doubt on any claims of Hamas booby traps, Goldstone briefly lists some damning evidence that such devices did exist. The Breaking the Silence testimonies, which Goldstone accepts uncritically when it slams the IDF, is quoted as having "mentioned" seeing booby traps, and terrorist websites themselves bragged about using such tactics. By any reasonable standard, this would appear to be real proof, not simply "allegations." Yet Goldstone places it after a paragraph that starts off the discussion by casting doubt that such devices existed and clearly downplays all of this evidence by lumping it all together into a single paragraph. 463. 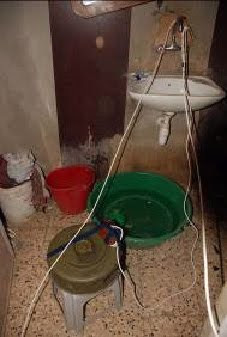 While, in the light of the above reports, the Mission does not discount the use of booby traps by the Palestinian armed groups, it has no basis to conclude that civilian lives were put at risk, as none of the reports record the presence of civilians in or near the houses in which booby traps are alleged to have been set. Again, if Hamas placed live bombs in civilian areas, they are violating international law. Yet this report soft-pedals this war crime by saying that there is no evidence that any civilians were nearby - in civilian neighborhoods! Goldstone seems to be adding a new caveat to the Geneva Conventions - saying that civilian objects can be used by terrorists if there is no evidence that any civilians are there at the time they are planted. Perhaps Goldstone did not envision the civilians ever returning to their houses and opening their own front doors. This is mind-boggling. While Israel is castigated by Goldstone for not being specific enough in dropping hundreds of thousands of flyers warning civilians to leave areas before they bombed. Hamas booby traps buildings in these same areas, and does not warn residents to leave at all - yet their actions are not condemned at all! If using civilian areas as a base of attack in order to protect the attackers is illegal under international law, shouldn't the purposeful use of civilian objects themselves as weapons (something that Geneva didn't seem to imagine) be considered even worse? This pseudo-legal stretching to absolve Hamas of responsibility for booby traps is not even the most egregious problem. These three paragraphs constitute the entirety of Goldstone's investigation into this topic. Yet Goldstone ignored the most obvious evidence of Hamas' use of booby traps. The map shows placement of bombs in houses and near gas stations. Both the video and the map were well publicized during Cast Lead, and it is not possible that the Commission would have been unaware of this evidence. In short, this short section on booby-traps shows Goldstone's bias against Israel, his bias towards Hamas, his playing fast and loose with the law, and his purposeful ignoring of evidence that goes against his apparently pre-formed conclusions. I've been reading through the part of the Goldstone Report treating the economic impact of Operation Cast Lead—a part that hasn't gotten much attention. It's largely a crib of a March 2009 report compiled by the Palestinian Federation of Industries, whose deputy general-secretary, Amr Hamad, was interviewed three separate times by the mission. The mission deemed both the report and Hamad's testimony to be "reliable and credible." The industrial sector that was destroyed, for example, the 324 factories that were destroyed, that we[re] destroyed used to employ four-hundred thous-, uh, 40,000 workers. And these have lost their uh, jobs, uh, forever. So that's the source of the number. But if you return to the report of the Palestinian Federation of Industries, it puts the job losses at these 324 factories not at 40,000, but at 4,000. That's an order-of-magnitude misrepresentation by Hamad of his own organization's findings. The Goldstone Mission should have wondered at the figure, checked Hamad's testimony against the Palestinian Federation of Industries report, detected the discrepancy, and gotten it right. But it didn't. Perhaps the mission members, hearing the word "factories," thought that 40,000 jobs sounded credible. In fact, more than a quarter (88) of these 324 "factories" employed five people or less, and over half (189) employed from five to twenty people (Federation report, p. 12). The vast majority of these "factories" should really be described as "workshops." Only three employed a hundred or more people. In fact, that is not the only misrepresentation that Amr Hamad made of his own organization's report. He told Goldstone that 324 factories were "destroyed" but his report says that 324 were "damaged," and 56% of them were "totally damaged." So the number of destroyed "factories"/workshops was closer to 181, not 324. Again, Goldstone could have easily checked the facts, and decided not to. I just looked at the testimony of one of the Goldstone witnesses, Mohammed Abu Askar. While the report did mention that he was a Hamas member it stressed that he was not a member of the Qassam Brigades. He testified concerning the Fakhoura school incident. Khalid is a newlywed groom. He got married 15 days before the war, and such grooms, as you know, are, are, happily spend their days as newlyweds, and they do not really have time to go to war or other, or to be wanted. He's also quite young. He was only 18 years old. Again I say that what was being targeted was a child. 686. It would appear that shortly after the attack the Israeli armed forces received some information that two Abu Askar brothers had been killed. That much is indeed true. However, the use made of that information appears to the Mission to have been knowingly distorted. The brothers were Imad and Khalid, not Imad and Hassan as asserted. One was a 13-year-old boy, the other was a recently married 19-year-old. The certainty and specificity with which the Israeli authorities spoke at the time make it very difficult for them to suggest now that they had simply mixed up the names. Could Khalid and Imad have been shooting mortars at the time from the street? It is difficult to think that Imad was involved, but it is certainly a possibility. First of all, Mohammed Abu Askar understated the ages of both his sons: Khalid was 19 (born December 12, 1989), and PCHR indicates that Imad was 14, not 13. Secondly, the al-Qassam Brigades has an unusually detailed obituary for Khalid, indicating that he was quite well known. It says that he was an avid attendee at mosques from a young age, that were festooned with "jihad slogans." He joined the Muslim Brotherhood in 2004, meaning he was (almost certainly) 14 at the time. More importantly, he wanted to join the Al Qassam Brigades at the same time, but was rejected because he was too young, causing him to throw a temper tantrun and lock himself in his room. He demanded again to join the Qassam Brigades when he entered high school and this time he was accepted. Khalid was already involved in terror attacks when he was 16, participating in "dozens of ambushes." 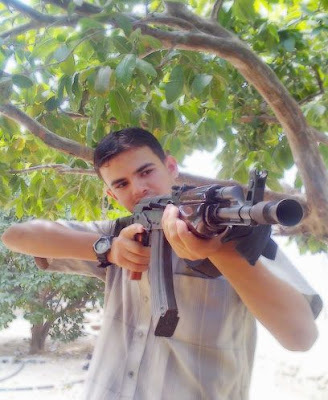 He attempted "martyrdom operations" against Israelis at least three times, in March, April and June 2008 (one at Kerem Shalom) but they were not successful. Given that history, is it so far-fetched that young Imad would have the same burning desire for martyrdom at an early age that Khalid had, and that he would tag along with his older brother that he idolized as he sought revenge for the destruction of their family house earlier that day? One could argue otherwise, but any fact-finding mission should at least have considered this. More to the point: The Goldstone Commission accepted their father's testimony without any skepticism, even after Mohammed claimed that he saw over 6 mortars fired (the final report says they were only aware of four.) It mentioned the utterly irrelevant fact that Khalid was a newlywed but ignored the quite relevant fact that he was a well-known al-Qassam Brigades member. It didn't think anything strange about the discrepancy of ages, even as it noted his correct age after hearing Mohammed's testimony that he was 18 (using his young age as to score a propaganda point.) Finally, it believed the father when he claimed that his son wasn't fighting after his wedding. Goldstone seized on the inconsistent Israeli position between the immediate aftermath of the incident and the later clarifications that the IDF made as proof that the IDF claims were not credible, but the inconsistencies of an admitted Hamas member who raises his sons to be martyrs is not considered at all.